The wife of billionaire Bill Gates launches a massive campaign to make pharmaceutical birth control sell in the developing world. 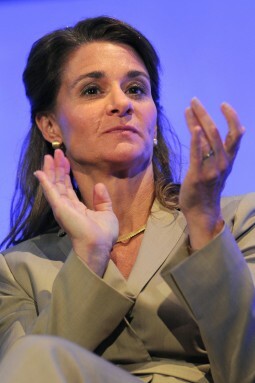 LONDON — Melinda Gates, the wife of billionaire Microsoft founder Bill Gates, has launched a massive campaign to expand artificial contraception and abortion across the globe in direct opposition to the Catholic faith she claims as her own. The London Summit on Family Planning they presided over on July 11 included 260 delegates from governments, the United Nations Population Fund (UNFPA) and abortion groups, including International Planned Parenthood Federation, Population Services International and Marie Stopes International. Also on hand were representatives from pharmaceutical giants Merck, Pfizer, Bayer and others most involved in chemical contraception. “We are bringing far more resources to this effort than ever before,” Gates declared. The universal desire of mothers to give their children “every good thing” can only be fulfilled when access to contraceptives is universal, she added. A morning marathon plenary session followed, during which delegates pledged their commitment and their country’s money to global family planning, one after another. Anuradha Gupta, India’s minister of Health and Family Welfare, vowed her government would make contraception services available “in every nook and corner of our large country.” Senegal and Indonesia both committed to promote “permanent” methods of contraception. “Indonesia pledged to increase its commitment by 100% and Senegal by 200%, and Nigeria will increase its commitment to family planning spending by 300%,” Nigeria’s health minister declared to applause. U.S. Agency for International Development (USAID) administrator Rajiv Shah said the United States made its commitments to family planning clear as soon as the Obama administration took office, directing $640 million annually towards international family-planning programs that reach 83 million women. CELESTE McGOVERN, DRUGS, POPULATION CONTROL. permalink.